Free live young health Did You Know That Food Can Cause Flatulence? Did You Know That Food Can Cause Flatulence? Flatulence can cause discomfort. These complaints often arise and are often taken lightly, although they can not be underestimated. The cause of flatulence somewhat diverse, one of which is the food consumed. Many people do not realize, that food can cause flatulence. Flatulence complaints arise when the digestion is filled with air or gas. Often marked with a full stomach, tight, and sometimes the abdomen looks enlarged. Generally, when a person has abdominal bloating, the stomach also feels pain so it can interfere with activity. Although rich in vitamin C, fiber and antioxidants, but some people can experience flatulence and other digestive problems after eating apples. This is because apples contain high fiber and also fructose (sugar content in fruit). If apples are your favorite fruit, but often cause problems with digestion, it's good to eat apples after meals, or in a state already processed or cooked to reduce the risk of stomach bloating. Foods high in sodium and low fiber content, including foods that cause flatulence. Examples of high-sodium foods such as instant noodles and packaged snacks. Should be careful when buying processed foods in containers or canned. Check the nutritional value through the product label to determine the sodium content in it. Onion is usually used as a food spice that strengthens the taste of food. However, onion is one of the high fructan foodstuffs, a namely soluble fiber that can cause bloating. Especially in people who have a sensitive digestion of onions, or if consumed raw. Dairy products, such as fresh milk, cheese, yogurt, cream cheese, and butter, are high in protein and calcium. But for people who have an intolerance to lactose, the consumption of milk-based products containing lactose can cause indigestion, resulting in abdominal bloating, abdominal cramps, and diarrhea. Foods high in fat content can also cause stomach bloating. 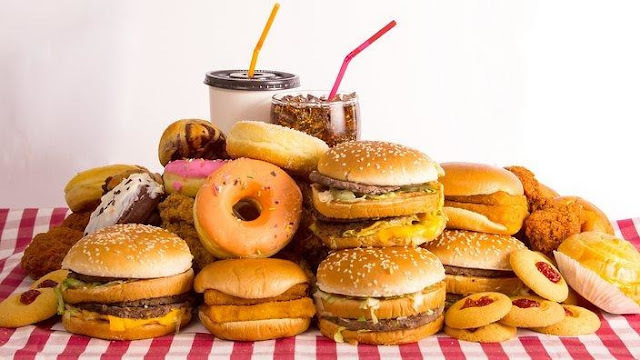 Therefore, fatty foods tend to be digested longer by the body than foods containing protein and carbohydrates. Therefore, in order to avoid bloating, avoid eating excessive fatty foods. Overcoming the frequent flatulence can begin by changing lifestyle. Also, keep a record of what you eat every day. When you experience bloating, reopen your notes and see what foods were previously consumed. By listing, you can find out foods that cause your stomach to bloat and avoid them. If the way has been applied but flatulence still appears, taking medication to overcome flatulence can be an option. Drugs to overcome flatulence circulating in the market is somewhat diverse. One of them is a drug that contains digestive enzymes. The content of digestive enzymes found in this type of drug can help digest the food consumed. However, the use of drugs containing digestive enzymes should not be arbitrary. So, it is advisable to consult a doctor before taking them. Another option that can overcome flatulence is a drug containing enzymes from natural ingredients. For example, the enzyme bromelain contained in fresh pineapple fruit, well known for digestive health. No wonder, pineapple can be used as a remedy to overcome flatulence. The content of enzymes found in ginger is believed to help the absorption of protein well so as to reduce the occurrence of flatulence. Natural ingredients are often found in this kitchen, believed to have efficacy as an anti-inflammatory and also used to overcome various digestive complaints, including the benefits of turmeric in reducing levels of gas in the gastrointestinal tract. Peppermint can flex the muscles of the digestive tract so as to eliminate the gas trapped in the stomach. Although still being studied the benefits for digestive health, these natural ingredients have long been known and used as a remedy to overcome flatulence. Changing lifestyle and taking the right medicine is the solution to overcome the flatulence complaints that you often experience. To prevent it, avoid eating foods that cause your stomach bloating. When eating, chew food slowly and do not eat excess food. Eating quickly and excessively will make the air trapped in the stomach causing flatulence. If the complaint persists and becomes more disturbing, do not hesitate to consult your doctor, to get the appropriate treatment. Title : Did You Know That Food Can Cause Flatulence?